ROSE MCIVER FORUM is open!! Good news ! Last year I opened a forum dedicated to Rose McIver, but I didn’t take care of it. For this end of year, Sara (Rose McIver Online) and I decided to build a brand NEW FORUM and make it a true community for all of you. There, you can discuss ANYTHING regarding Rose, her events, her photoshoots, review her various outfits, exchange around ‘IZOMBIE‘, ‘ONCE UPON A TIME‘, ‘POWER RANGERS RPM‘ and more. You can also participate in various games and share your fanarts. Feel free to join this forum, it’s free and easy! 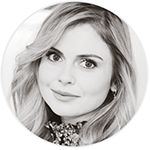 Comments to ROSE MCIVER FORUM is open! !